The tiles become a dancefloor The light a disco ball It's called the bathroom boogie - The most splashy bash of all! When the children go to school and the adults go to work . . . the Bathroom Boogie starts up - and all your favourite bathroom friends come alive! The shower creates a rain dance, whilst the mouthwash back-flips and the toothbrushes bop and rave to the hot tap's funky beat! 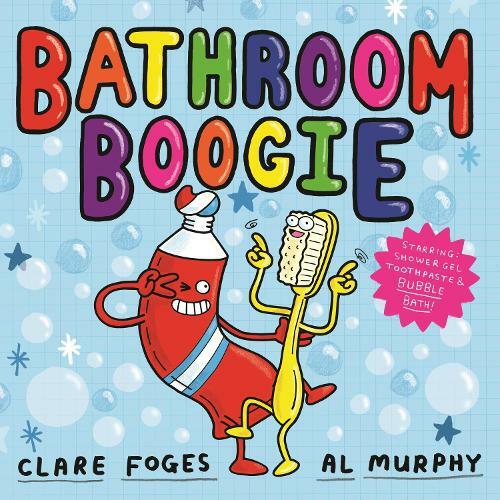 Bathroom Boogie is the zany and hilarious rhyming picture book sequel to Kitchen Disco, with trademark cool artwork from Al Murphy.